PNG's New Ireland Governor Sir Julius Chan says his Government is working to ensure the Solwara I Deep-sea mining project results in substantial benefits to the people of New Ireland. “We continue to have reservations about the Solwara I Project especially in the area of environmental protection and a liability guarantee, but the National Government unilaterally granted a mining lease to Nautilus Minerals in January 2011. 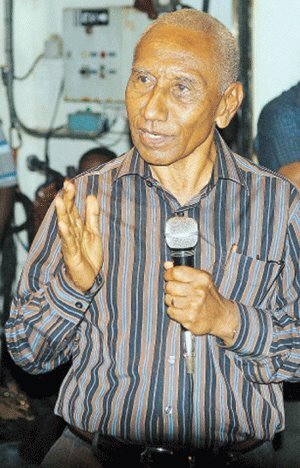 Sir Julius said that the New Ireland Government had been working generously with the East New Britain Government to come to an agreement on the sharing of the benefits of the Solwara I Project. But the signing of an agreement was “regrettably aborted”. Sir Julius also noted that the National Government had insisted that there were no “landowners” for the project, since it was in the sea. “However we are going to treat the people of the west coast of Namatanai and Sentral Niu Ailan LLGs as if they were landowners,” he said. Both New Ireland and East New Britain have insisted that the National Government increase the level of benefits coming to the provinces and the people.